Wide and relatively short jaws clamp and hold flat stock, L-angle, and sheet metal in position for welding or assembly. Deep, sharp, regularly spaced teeth offer an evenly distributed grip on smooth, flat surfaces. 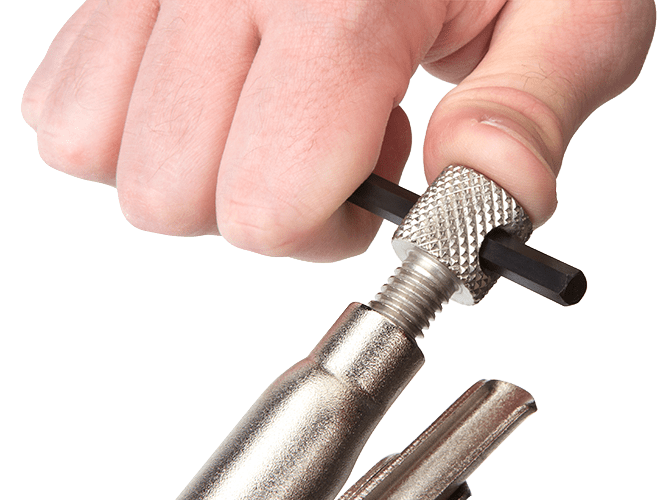 Our pull-to-release lever allows you to clamp, release, reposition, and clamp again with one hand and with more control than a traditional pinch-style trigger. 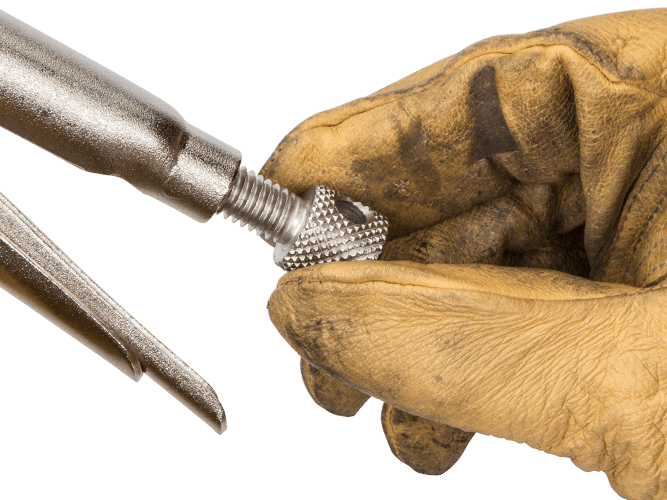 A generously sized knob with deep diamond tread knurling makes for easy tensioning even if you’re wearing heavy gloves or have slippery hands. The round shape of the knob allows you to quickly spin it with your fingertips like a dial to make adjustments much more easily than is possible with other paddle-type knob designs. Create a T-handle by inserting a screwdriver or hex key into the hole in the adjustment knob. With this extra leverage, you can lock the pliers onto the workpiece and gradually add or release tension to fine tune the clamping force. 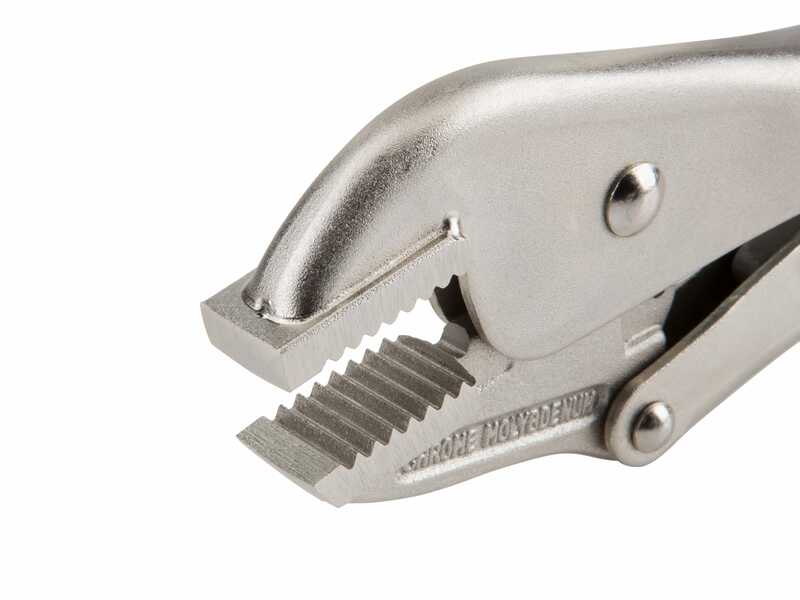 Our jaws are made from 4140 chrome molybdenum steel, an alloy that offers an excellent combination of toughness and machinability with a natural resistance to corrosion. 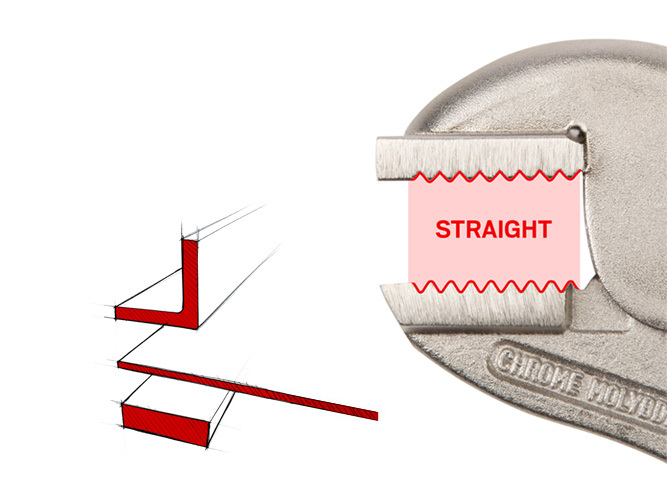 The teeth are hardened to HRC 45-50, meaning you should have no trouble with chipping or stripping even on fasteners up to Grade 8 or Class 12.9. Before assembly, the individual jaw, handle, lever, and crossbar parts are shot peened to remove scale and debris. 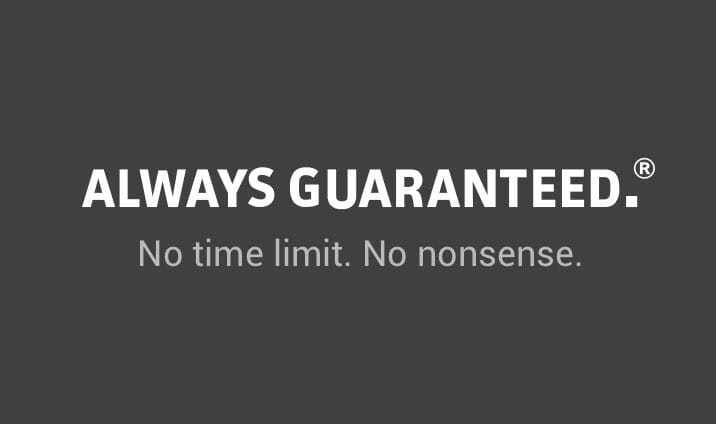 This process smooths imperfections, making the surfaces even and consistent. The final finish is a durable nickel plating that protects against corrosion. 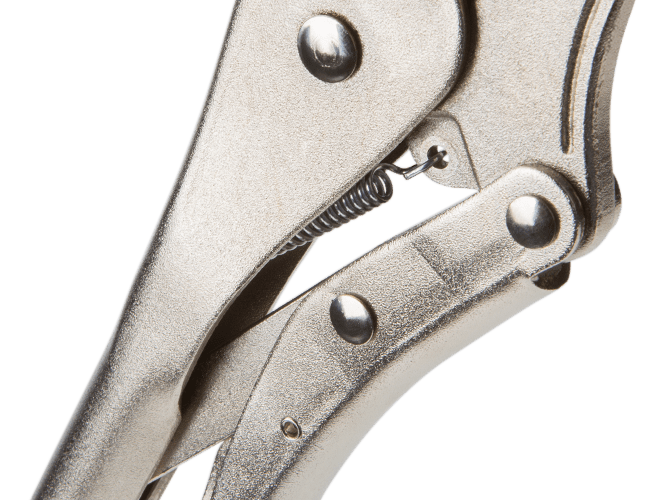 Clamping force at the jaws directly depends on the strength and integrity of the pliers’ three main rivets—which together make up the 4-point mechanical structure of the pliers. To make sure ours can withstand high shear forces, these rivets are made from tough 4135 chrome molybdenum steel. Create a T-handle by inserting a screwdriver or hex key into the hole in the adjustment knob. 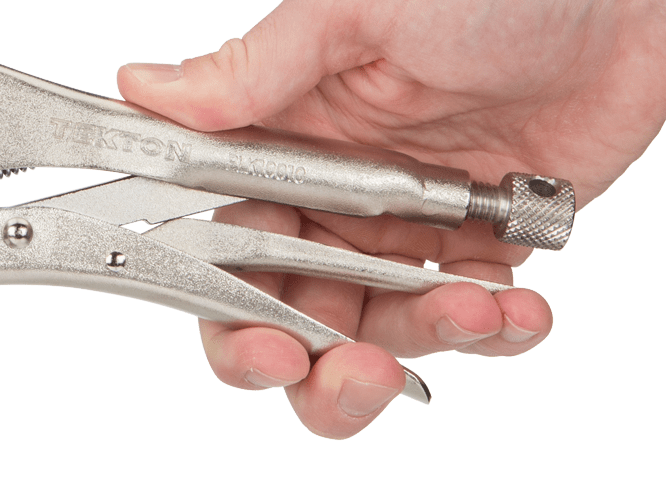 With this extra leverage, you can lock the pliers onto the workpiece and gradually add or release tension to fine tune the clamping force..
D. Maximum Adjusted Length 10.1 in. E. Jaw Capacity (Flat) 5/8 in. F. Jaw Width 0.65 in. G. Adjustment Knob Length 0.67 in. H. Through Hole Diameter 0.273 in.